Collins Booksellers - Carpe College! by Mike Metzler, 9780989919982. Buy this book online. You have spent the last year or two of your life trying to get in, and now you need to know what to do once you get there. To make the most of it, you’ll need to Carpe College! By seizing all the wonderful opportunities, both inside and outside the classroom, you can make your college years the rich and life-changing experience you’ve always dreamed of. But you need a plan, an approach, and some perspective. 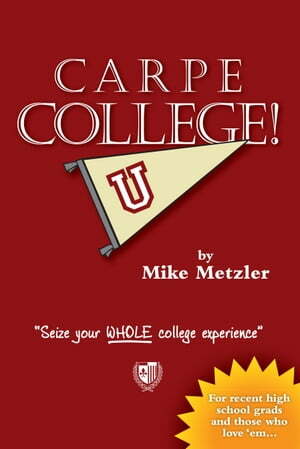 From your dorm room to your classroom, Carpe College! has you covered. Whether it’s planning your week, poppin’ in to see your professor, or partying like you know what you’re doing, with this book you’ll know you have what it takes to truly seize your college experience!